Clocks are made to tell time. There are many different types of clocks. Clocks have been around for a long time. Why did the clock get invented? What kind of parts do they have? There most important step of the clock is... the winding stage. When you wind the clock, it starts a gear, which starts a bunch of other gears causing the hands to move around the clock to the correct time. I will draw the inside of a clock so people can get an idea of what the inside of a clock looks like. I can use this clock in my video and explain who invented the clock, why the invented it, and how clocks show time. What is the most important gear in the clock? Could a clock work if you removed one of the gears? How does a water clock? When was the first digital clock invented? What I learned was that Christiaan Huygens invented the clock. Also, the clock was invented to tell time. I learned that clocks need gears to work and that gears need to be wound in order to work.​ It was fun explaining my work in the video but it was hard to research and find decent good sources for this topic. ​It was easy explaining my learning in my video. I would take more time explaining my work on my blog the first time so I don't find so many mistakes to fix when I proof read. 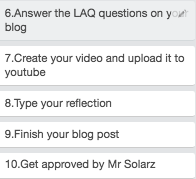 I would tell kids to make sure that their video looks nice with good lightening, sound and proper information. How Simone Biles became an Olympian? By: Gianna P.
How will I find it out? I want to know how many hours she is is in the gym each day? And how many medals she has gotten? I would also like to know what her workouts are? I would like to know how many bottles of water she drinks every day and what size are they? She likes bananas and peanut butter as a snack. How do Hybrid Cars Work? 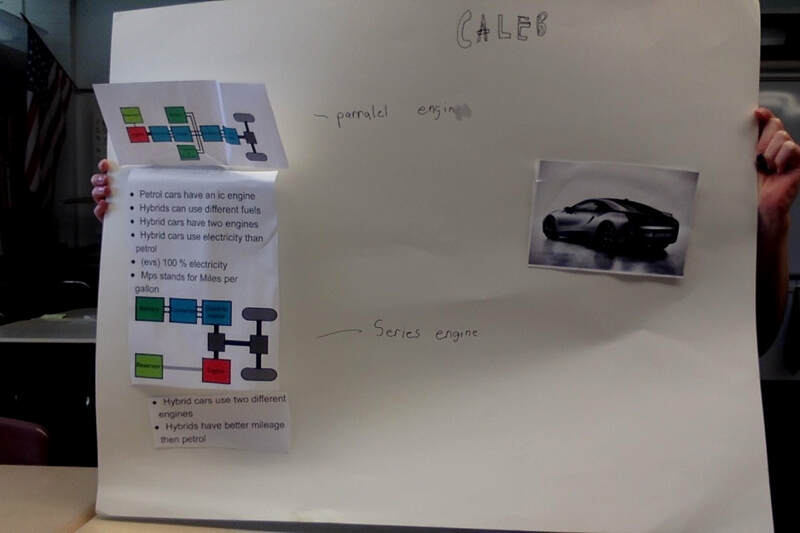 By: Caleb S.
How do hybrid cars work and how do they use two fuels? I will read books, watch videos and read the text from the computer. I wonder how hybrid cars get electricity? I wonder why hybrid cars are so eco-friendly? How can you make them more fun? What are some things that make them so fun? ​I know from experience that the most fun roller coasters are the ones that have big drops and do flips and a lot of cork screws although some roller coasters don't have all of them but are still fun. I will use my experience on roller coasters to decide what is fun. I will watch youtube videos on the best roller coasters and see if I can find similarities that all the good roller coasters have..
See what people have to say about the rides and why are they better than others and what they like on roller coasters and what they don't like. I learned that what makes roller coasters fun is different for everyone if they are trying to make a scarier ride they make it as scary as possible and not scary rides they try just to make fast turns and for it to go kind of fast but not to scary and people who like scary rides they try to make it really fast and do lots of flips. Actions I might take is next time I go to Six Flags I could tell if a ride is worth going on or not. Also if I ever met an engineer I could tell him what I learned on what makes them so fun. I still wonder what ways can the make roller coasters even more scary? I think that overall I did pretty good with my passion time project. I think that I did good with my passion time project because I didn't know a ton about roller coasters when I started but by the end I think that I learned a lot. I learned enough that I was able to explain my learning and teach someone else about it and teach someone else how to learn it. One thing I thought was hard was trying to find something that all the good roller coasters had.I think that overall I did 7/10 I think that that is pretty good. Next time I will try to get at least 8/10. I think something I will work on next time is trying to finish a little quicker. I think my advice for someone else would be trying to go to a park and go on some rides because it is really helpful. How do submarines stand the pressure of the deep sea? By Wes S.
They are made from super strong metal. How submarines are manufactured and how long it take to make it? How did it come to be the name submarine? Find submarine facts that are worthy enough are experience. ​Pressure hulls keep the passengers safe so they don't get crushed. I will help make sure nuclear subs are not made. Maybe even start a company. Why are submarines made as weapons? Why can't they just be things to explore with? I think I did really good with my passion time. I got my question answered How submarines stand the pressure of the deep sea. I also learned that something called a pressure hull keep people on bored don't get crushed. That makes it so the submarine can dive in the deep sea. They are made with strong steel or titanium and are made with to hulls a pressure hull and a water proof a hull. This I what i learned for my passion time project. How do you get ready for a game as NFL player Ian M.
Do each players stretch differently or the same? Do they have people help them get ready for a game? Does everyone do different things to get ready for the game? I learned that there is a team leader for before the game to lead everything. I still want to know if they do the same stretches or different stretches for there pre game warm-up? I learned that most football player do there own stretches but sometimes a leader does stretches and everyone does them with him. What I really had fun with was learning what my favorite players to before the game. That my topic is very hard because I went through about 10 websites and found like 5 facts that were alike. My topic was very hard but what was easy was finding players and what they do before the game like how they stretch. I would try to find better websites to get facts from. That they need to use good websites and resorces to find out there question. I know that the light comes threw the cornea. I learned that the Vitreous humor It helps in maintaining the shape of the eye. ​I learned, An inverted real image of the object is formed on the Retina. I'll tell people about the eye and how it works. I learned that the iris is a dark muscular diaphragm located just behind the cornea. I wonder how the eye is connected to the brain. I learned that the eye has multiple things located around it. another thing I learned is that the eye is connected to the brain to tell it what is in front of someone. One thing that was fun is when I studyed about the eye and what is in it. One thing that was difficult was when I had to learn about the different part of the eye. How do you build a scale model of the sears tower?Mikey. I think I did good with my passion time but I chose something that has a lot of materials and took a long time to clean up. I learned a lot about how to post videos and I wasn't that good with that so That helped me improve in that. On a scale of one to ten on how I did this would be a 7. Can I create a website on Roller Coasters At Six Flags Great America and why they are fun, and why you would like them? Will V.
What Days Are less crowded and why? Im going to use the information that I learned to help convince friends and family to ride roller coasters and persuade them to ride them by telling them why its not scary and just super fun. ​I wonder why roller coasters were created and how. I learned a lot more about why people are more afraid of riding roller coasters, and I will be more considerate about convincing people that rides are not scary, but I will not force them to ride the roller coasters, although if they aren't sure or scared I will try to convince them that it is not scary or just tell them why they should ride the roller coaster, because I don't want to force people to ride a roller coaster, but I will still try to convince them to ride. 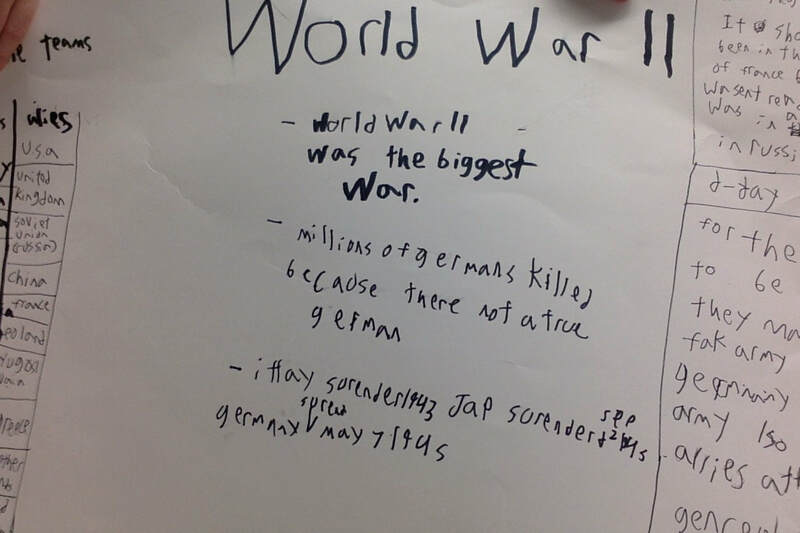 ​​World War 2 was started in 1939. It was caused by Adolf Hitler. The teams where the Allies and the Axis. ​Learned that Hitler was married there where a lot more axis countries I knew about. ​Which countries where in the Axis? Who are some generals? What is on D day? What action will I take. 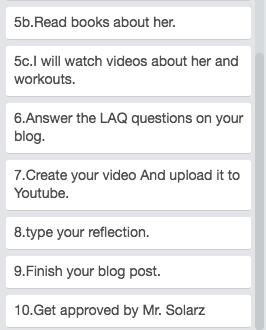 Im going to make a poster then make a video and read from my poster. ​I will search It up. Read about It In history alive. what new questions do I have. ​Why did Adolf wanted war? what did the d stand for in d-day? I did great with the video and I learned a lot of stuff. Like hitler was married. Next time Im not spending a lot of time on facts because I almost ran out of time.Im proply going with a partner next time. I had a lot of fun on youtube because It was fun to watch It because you dont read and It helps you understand It more.If somebody did this I would youse websites because the videos are 1 or 2 hours long. How will learn it ? I know a lot about drawing and I am going to share some of my knowledge with you. One of the things I know is how to shade very delicately and create shiny marks on my drawing. How I do that I color very lightly on the whole area that I am drawing in, and than I color hard and leave some spaces lightly colored in to create that effect on my piece. To continue, another drawing skill that I know how to do is to look at an image and draw that figure almost exactly as I see it in the image.How I do that is I look very carefully at the image and first sketch the outer part of it than move on to the inner details of the object, also I zoom in if that feature is available. Additionally, the last thing I want to share is that can sketch a body. I do that by first doing the head and neck, than from the neck I extend the shoulders, that I extend the shoulders to form arms and than the rest of the body. These are some of the things I want to learn to become a better drawer. The first thing I want to learn is how to blend colors better than I do now.I want to learn that because I really like hombre effects on clothes in the ones I have done so far the colors were not thoroughly blended. An additional thing I want to learn is how to draw cartoon lips. I hope to learn this skill because most of my drawings are cartoons or anime people, and I do not want all of my drawings to have the same slight smiling face ​I want to have a variety in my drawings, I do not like to have cliches or to have my drawings get boring.My concluding idea is I would like to gain knowledge in how to draw cartoon hair. I want to learn that because I mostly draw people, and most people have hair, and I can not just draw squigly lines. Those are the skills that I want to work on . What actions will I take? ​ YES! This is how I will learn to draw like a real true artist! 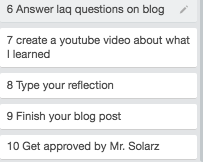 one resource I will use is Youtube. I will use Youtube as a recourse by looking up videos on different drawing techniques, and how to draw lots of different things. Another recourse I will use is is looking at pictures. I can use pictures by referring to them while I draw. I can reference to the photos because I can inspect the shapes and details in the face, and copy them. How I normally do that is I zoom in on the spot I want to draw at that specific moment. The last recourse that I can use is looking on different websites. I can use different websites by looking at the different samples and some websites give you step by step directions no how to draw certain things. 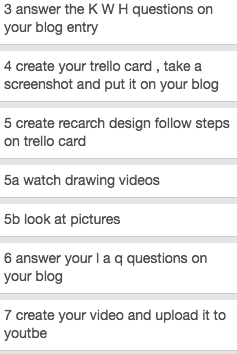 In conclusion these are the things that will help me to become a better artist. Can I draw more realistic pictures next time? Will I get better as progress in the drawing world? Will I ever be a famous drawer? This is my awesome reflection! the most difficult thing I achieved to do is to draw lips. That was the most difficult thing that I did because I practically started from scratch on how to draw them. 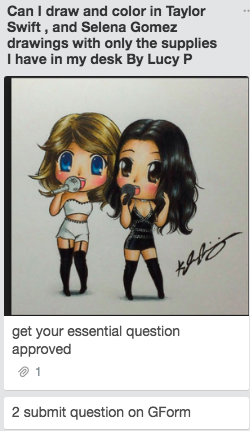 The most fun thing I did was actually drawing the piece of art that my question talked about. That was the most fun for me because when I was drawing I realized that drawing is actually harder than I expected. Lastly the thing iI would do differently next time ​I would be more careful with all of my suplies. I would change that because i lost one of my 30 minute videos because I forgot to upload it to youtube, and it dot deleted. In conclusion passion time was a very cool experiance for me. How does Jelly Belly get the flavors for the bean boozled beans? Can I create my own flavors of bean boozled beans out of Jello and flavorings? By Mikey S.
I know that I will use edible things like dirt, and stuff like that to make good and bad Jello products in the end. What do I want to now? See what flavors go good and bad with each other. Know what they use in the Jelly beans. Look on the back of one of the box to see the ingredients to get an idea of what to use. I will look online to find good/ helpful information. ​I learn that so starts by finding a source for the scent. Once the source is found, it is then placed in gas, which turns the item into vapor - after it's been dissolved, boiled, or heated then it makes its shell. ​I will try to get people to do this because it is fun, and cheap, But I do not recommend eating it. That is up to your parents. ​My question is after doing all of this is could they use flavors to make the flavor of a posanise plant, or thing? I learned that doing stuff like this is fun, and cool. Also I learned how jelly beans were made, If you want to read about the proses read the L in my LAQ. My favorite part was the making of the jello for my project, and the video. For me it was hard to get the video dune in time be for the dead line. The easiest part was making the jello, or the video. If I did this again I would add more text to it, and more images. If someone asked me to tell them about my project I'd say it was fun and cool. Also I would say it was a fairly hard project, and to not eat the jello they make, because it could make you very sick, And it is gross. It was the deadliest tropical cyclone ever recorded. The storm started November 3, 1970 and ended November 13, 1970. If you want more facts watch the video or look at the picture! How many homes and buildings were destroyed​? How many people were killed/went missing? Where did Cyclone Bhola start and end? I will research facts about The Bhola Cyclone on google. I will watch videos on YouTube on The Bhola Cyclone. Where did the people in the area of the storm evacuate to? How were the people in the area of the storm affected? 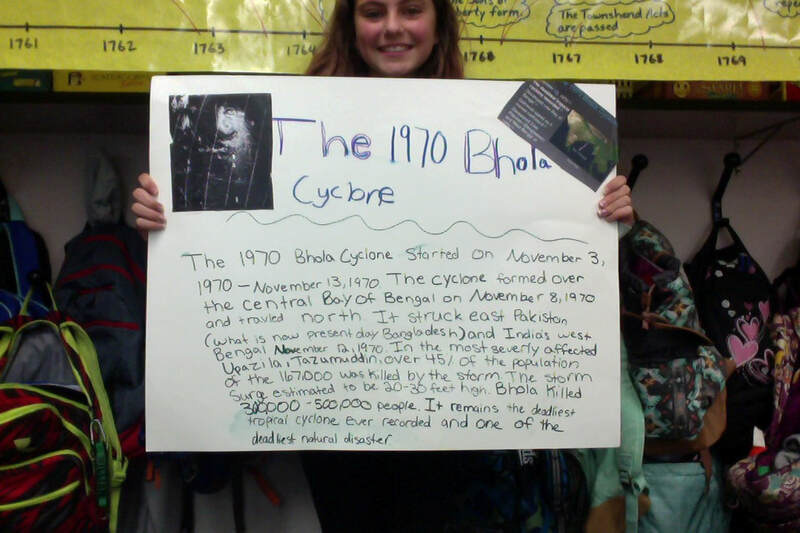 ​I think what was the most fun was making the poster because I liked printing out cool photos of the ​Bhola Cyclone and learning interesting facts about the cyclone. What was most difficult for me was actually finding facts! There wasn't a ton of videos or websites that said the MOST important facts. One thing I will try to do differently next time of try and find more facts even though I still tried to find a lot of facts. Some advice I give to the people that want to/are doing this project it is very fun even though some facts are hard to find. It can be frustrating when there are not a ton of facts. Can I create a website that teaches people about what authors did before they became authors? By:Olivia K.
I know that some authors were newspaper writers before they became authors. What other jobs did authors have? Did some authors have a weird job before they became authors? Which author's job the author hated or liked ? What is the record for most jobs an author had? ​How do I find this out? Read books about different authors. I learned that Eric Carle was a graphic designer for the New York Times, which is really interesting. I learned that Dr. Suess was kicked out of a lot of different jobs. Something that was difficult was finding good websites with the information I need. It was easy to find different authors to write about. The most fun thing was learning about the different authors. Some advice is to find a varity of different authors. Can I create a website that can teach people gymnastics moves? By, Isabella P.
I know that I have to work on my gymnastics moves in order for people to learn them easier. 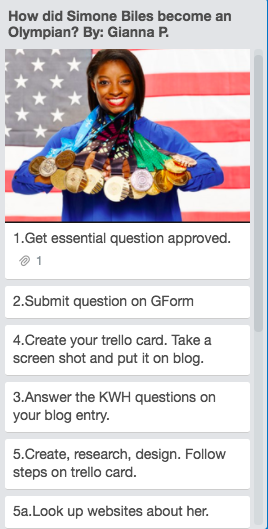 ​​Can I put up videos of gymnastics moves on a website and teach them to people? I will make a website and try to show people how to do gymnastics moves, but I also will get some tips from other videos. I've learned that I can make a website, and that people could go onto it and learn gymnastics moves. I will tell my mom and dad about my website. Then thy can let my grandparents and other extended family members about it too. Can I make a tutorial website on harder gymnastics skills? Can I make a more advanced set up for a website in the future? How can you see colors? How can you make roller coasters more fun and what makes them so fun? *My favorite roller coasters are always scary. *The longer the the roller coaster the more fun it is. *How can you make roller coasters more fun? ​*What makes them so fun? *Watch youtube to see some of the best roller coasters and find some of the the reasons that make the roller coasters so fun. *Use my own oppinions on what makesroller coasters so fun. *Read what people have to say about roller coasters. I learned that most of the roller coasters that people like usually go really fast, have a lot of flips and go super fast. Also people like them when they are a longer ride because they don't like waiting in line for short rides. 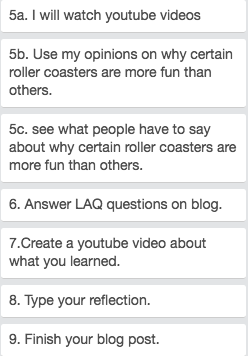 ​Some actions I could take to use my learning is now that I know what makes roller coasters fun if I went to an amusement park I wouldn't waste my time waiting in line if it wasn't going to be that fun. I also could talk to someone who works at an amusement park and maybe give them an idea on how to make some fun roller coasters. Some questions that I still have are how do they make roller coasters? Can I try to design a car that would not run on gas? ​What actions will I take. How will I learn it. ​What new Questions do I have. 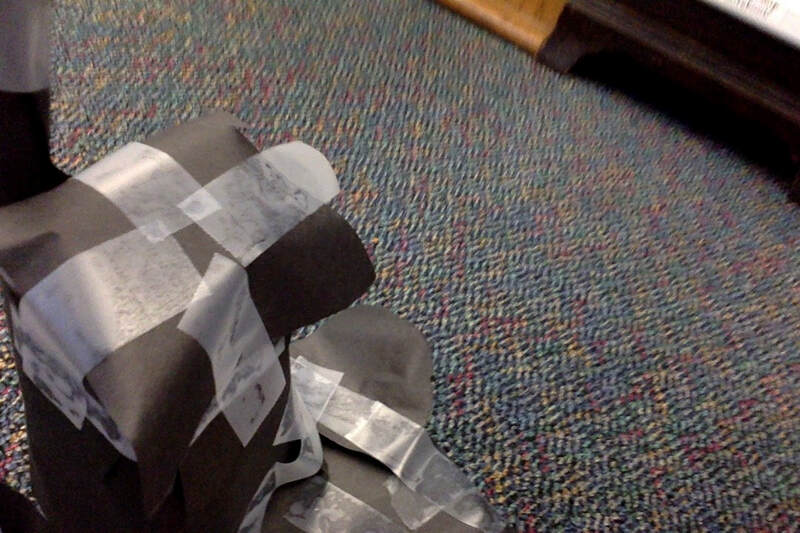 Reflection: I learned that paper mache is done in many different ways some ways don't use glue and others do. 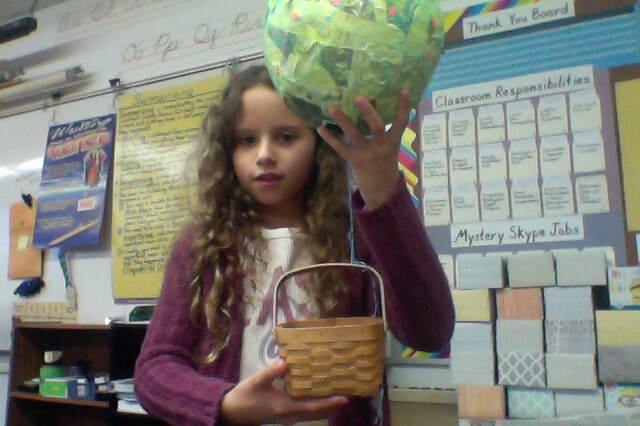 The most fun part was actullly make the hot air balloon out of paper mache. It was very difficult to actually make the paper mache. It was easy to paint the paper mache and do the blog post. I would teach them to use your time wisely because otherwise it won't like right and you won't get it done. I would use my time more wisely next time. 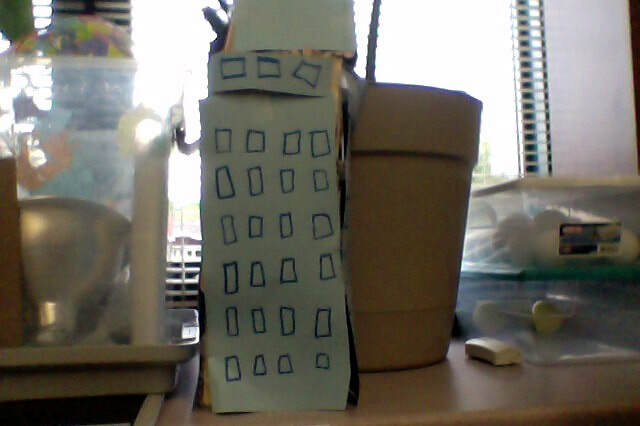 Can I Make a Miniature Empire State Building out of supplies in the classroom? By: Carmen P.
It has tons of curves that are hard to make with straight sticks. How I am Going to Learn it. ​Why did the Empire State building have to have something as specific as 102 floors? Why was the Empire State Building built in New York? I learned that the Empire State Building was a big part of construction's history. It was a big innovation. No building before the Empire State Building had ever had more then 100 floors.It was also fun to build and to research about, even though mine doesn't look exactly like it, it was still fun. When I first made it with just popsicle sticks it looked very strange then I thought that I should cover it with construction paper. Then I drew windows on the paper. I liked this passion project so much. Also it was very creative. So all in all it was a very good passion time project/question. How does a computer work? By Martin V.
How The motherboard, RAM, CPU, SSD, HDD, GRAM, video card, Power supply works. How many capacitors are in the CPU? How many capacitors are on the whole mother board? How many watts and volts go into the CPU? What is the most powerful power supply in the world and how much it costs. I will also ask people that know about this topic. A regular CPU uses about 12 volts and 80 watts. That is about 6 watts or exactly 6.667 amps. The most powerful CPU in the world is the intel xeon Gold 6152 Processor, it costs about $4,000 USD. I will have a page on the website that will have all the definitions of the computer parts and stuff like that. I will make a website that will show what the computer parts mean, how everything works, and all the little cool capacitors. How many capacitors are in the entire computer. How big was the first computer made. I spent my time on this project, I knew allot about this in before hand so that is did this faster then usual. I did not rush, and will not rush on any of my projects. I learned even more things than I knew before, like that I know that the most expensive processor costs about $4,000 USD. I tried to put as much information that I knew myself. I will try to do better each project to get better scores. I think that this was in the middle, not to hard, and not to easy. I had allot of fun doing this project because I really like learning about computers. How does an Operating System Work? By Tommy D.
I know that an Operating System is the most important software on your computer. Mac OX, Linux Fedora, Linux Mint, Windows. What kinds of software are in certain operating systems that make them different? How does Linux Kernel work? What are all of the keyboard shortcuts on Linux? I will research about it on Google. I will ask people about this topic. I will talk to someone. I will make a website that will explain what people want to know about the OS. How many total operating system are there in the world? I had fun doing this project, I didn't rush because I thought it would be sloppy, I took all the periods. I learned some stuff about operating systems, I do know some things already and I'm familiar with operating systems, so I kind of tried to extend my knowledge. I thought it was easy typing everything up, I can type fast. I think next time I will try to use more background knowledge, talk to more people about my topic for some help, and I'll try to read more books about this topic if I do again and I'll try to do these all even in a different topic.